When I moved from teaching high school to teaching 8th grade English three years ago, I was introduced to an independent reading requirement: each student would read one book of their own choosing each quarter. How we chose to implement this requirement was up to the teacher, but each student had to produce a product of some sort at the end of each quarter that showed they read the book they chose. This happened to coincide with an important, career changing experience I had-attending a Penny Kittle workshop. I walked away from that day determined to not just give my students choice in what they read, but to give them more authentic ways to talk about what they read. I wanted to foster a love of reading, not just get students to comply with a requirement, or worse–heap on more reasons to hate the written word. 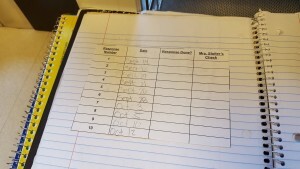 In a previous post, I wrote about how I use Reader’s Response Notebooks in my classroom rather than have students fill out a reading log. 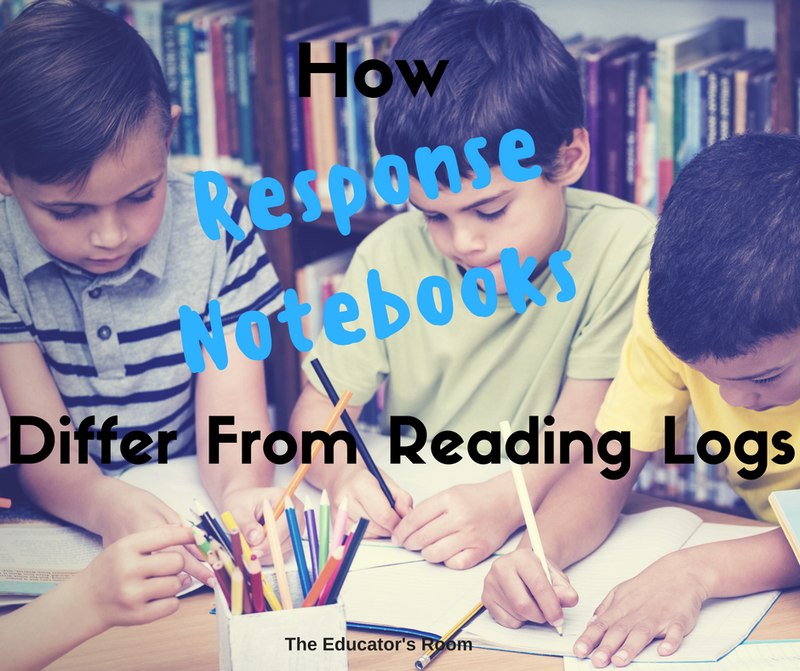 I did get questioned about how Response Notebooks are any different than Reading Logs. Since both have the goal of showing accountability, wouldn’t they both have the effect of squelching a student’s love to read knowing they will have to write down what they read? One of the things life-long readers do naturally is talk about the books they read. They join book clubs, they talk to their fellow readerly friends, they join groups on Facebook that exist solely to discuss and recommend books, they join GoodReads. They seek out other people to share their experience with. Response Notebooks help students to learn to talk about their books the way lifelong readers do. 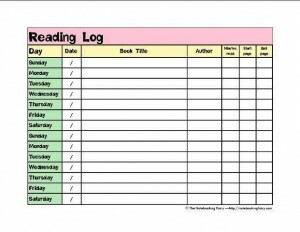 Reading logs generally look something like this: a sheet of columns where you fill in the date, the book you read, how many minutes you read, and what pages you read. Sometimes a parent signature is required. There is rarely room for reflection; although, occasionally a teacher will ask for a summary. I don’t know about you, but this is not how I read. In fact, it’s a chore. Even as an avid reader who would do all the required reading (usually 20 minutes a day), I would probably forget to fill in the chart because READING! In fact, if I am confessing, that is exactly what happens with my 7-year-old son’s reading logs. So I just sign them because I know he/we have read. Besides being boring, the only thing they are really assessing is a a student’s compliance with an assignment and possibly whether or not a student can write a summary. If we are truly trying to grow readers into critically thinking adults (who read!) we need to do more. 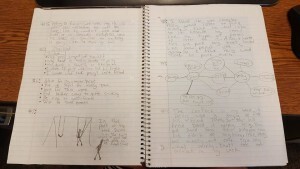 Response Notebooks not only show a student is reading, but it shows they’re thinking about their reading as well. I give my 8th graders twenty minutes of silent reading time two or three times a week. Ideally we would start every class, every day this way, but time and other requirements make that impossible. Assuming students can read twenty minutes a day on their own time with five other classes of homework, family obligations, and possible sports/club participation is preposterous. Reading is vital to success, so I give them time in my class to read. That is the easiest way to know they reading anyway; I see them do it. number and date all entries. I give them a small record sheet to paste into their notebooks where they keep track of the dates of each response and where I can put their grade when I score it (after every 10 responses). Every day I put a response prompt on my screen for students. For example, earlier this month I used: “Talk about the conflict in your book. What is the main problem and how is your main character dealing with it? You can write it out in 5 sentences or more OR you may use a thinking map to represent your conflict and its causes and effects.” Students then get a minimum of five minutes to silently write about their books. Their responses vary, but with each one I can tell that they have been reading AND I can see their thinking. Some days students get a chance to also talk about their responses with a partner, a group, or as a class. Each Tuesday I do a “Book Talk” of one of the books in my classroom library and students are invited to share their books during this time as well. 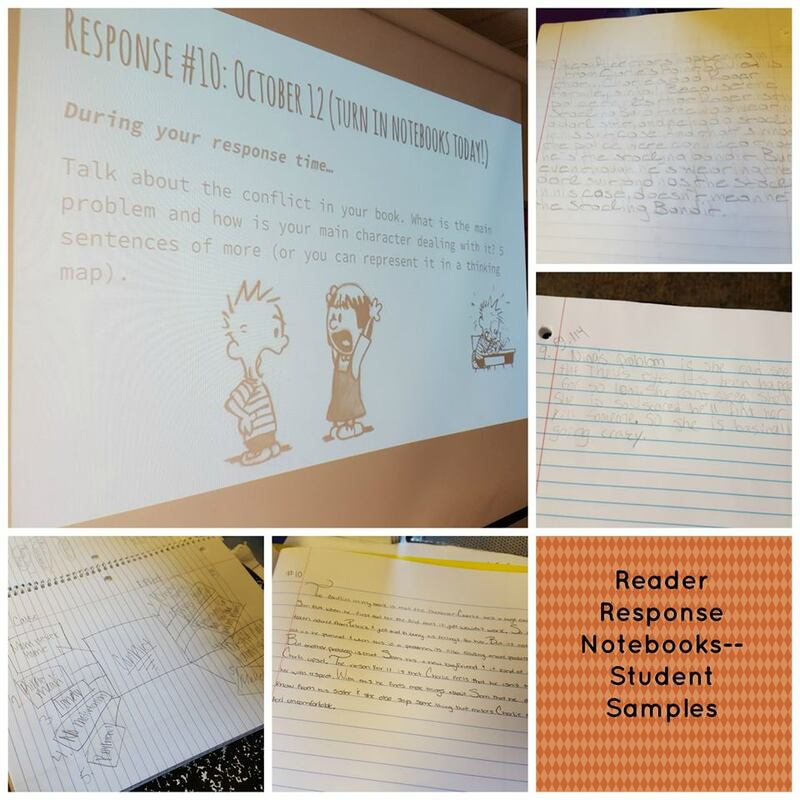 Many read directly from their response notebook as a way to advertise their choice book to their classmates. 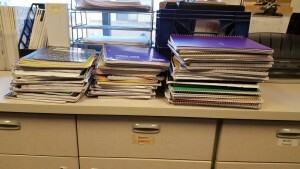 Response notebooks also serve as a valuable resource when students work on their end of the quarter book projects. Most students draw directly from their notebooks as they create projects that they will share with their classmates, teachers, and other staff. I’ll admit that it’s not as quick and easy as checking a Reading Log, but it’s not as difficult or time consuming as it may seem. I award five points per entry and collect notebooks after every ten entries. While I do end up reading a lot of the entries out sheer curiosity, I can usually tell if they are complete just by looking at them. I keep track of the points earned per entry on the track sheet that is pasted in their notebooks. It does take a bit more time than simply giving credit for having a log filled in, but I think the benefits to the students outweigh the extra time it takes me. Hello! I’d like to start using response notebooks next year with my 7th graders. Do you have a list of prompts that you could share? Thank you for the great ideas! I would like to start this in my 8th grade Reading class as well. We are 88% low socioeconomic and I would love to teach them the love of reading. Can you share with me the document you use for pasting into their journals?